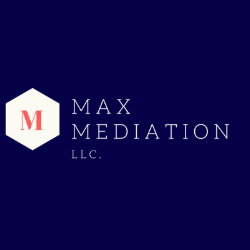 Contact — Max Mediation, LLC. Rates for mediation are on an hourly basis. Rates for training are contingent upon the length, number of people being trained, and the amount of preparation required. Rates for mediation are on an hourly basis. Rates for training are contingent upon the length, number of people being trained, and the amount of preparation required. Please note that Eric Max only serves as a neutral third party, and does not represent any person in any matter. You may email or call Eric for more information. The general response time is within the same business day.